New voters in Waupaca need to register prior to voting. A voter registration form is available on the City website or in person at City Hall if you wish to register prior to an election. Residents should bring proof of residency with them; this may be your driver’s license or state ID card with current address. Call City Hall for examples of other acceptable forms of proof of residency. Voting is held at the Waupaca Recreation Center at 407 School St. in Waupaca. Polls are open from 7:00am – 8:00pm on Election Day. 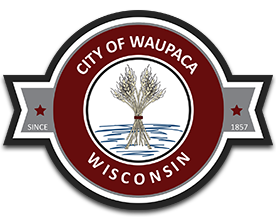 All City of Waupaca residents vote at this location. If you are unable to vote on the day of an election you may request an absentee ballot. Details are available on the City Website or at City Hall prior to an election. If your spiritual beliefs prevent you from being photographed, you can receive a State ID card or driver’s license without a photo at any Department of Motor Vehicles (DMV) office. 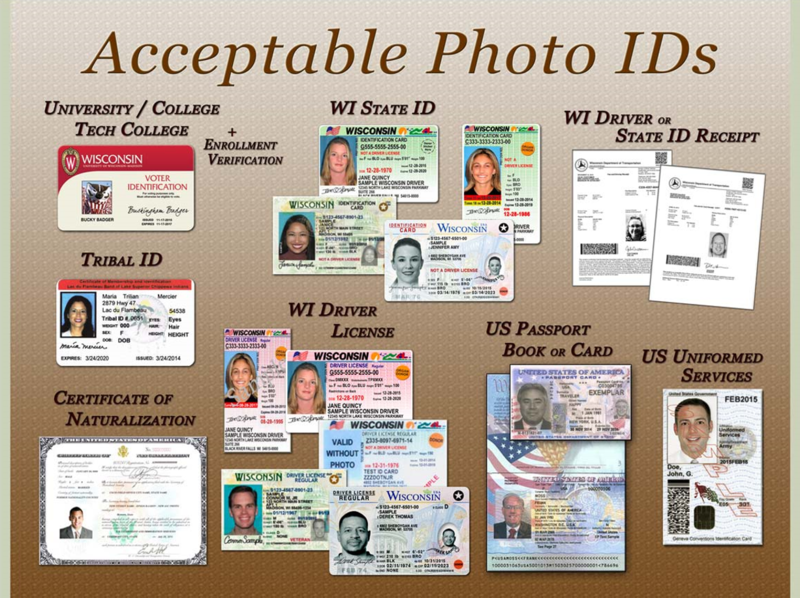 A Wisconsin DOT-issued driver license, even if expired, revoked or suspended.